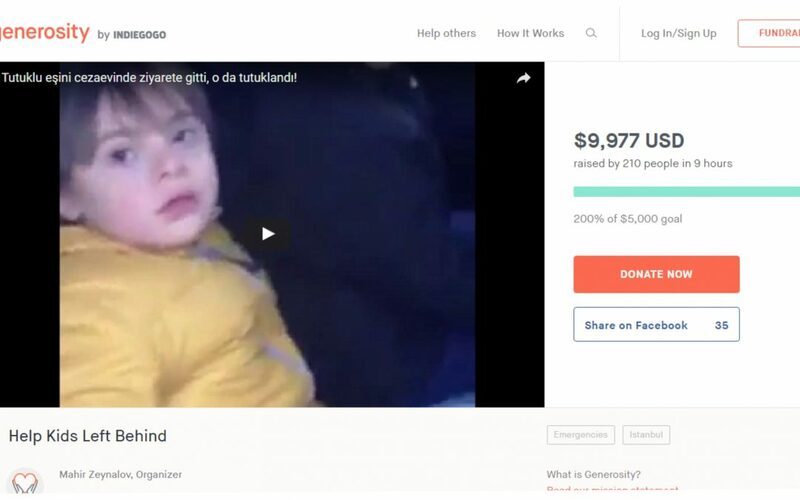 Azeri journalist Mahir Zeylanov has launched a fundraising campaign for five children who were left alone in tears in front of Sincan Prison in Ankara after their mother was detained while they were visiting their father in prison. Zeylanov tweeted after the incident that he reached out to the victimized family and started a fundraising campaign to help the children. He also called on people to donate and share the campaign with everybody they know. Reaction mounted after the video was shared on social media by Tanal. People say similar incidents have occurred since a crackdown was launched against the Gülen movement by President Recep Tayyip Erdoğan and the ruling Justice and Development Party (AKP) following a failed coup attempt on July 15.